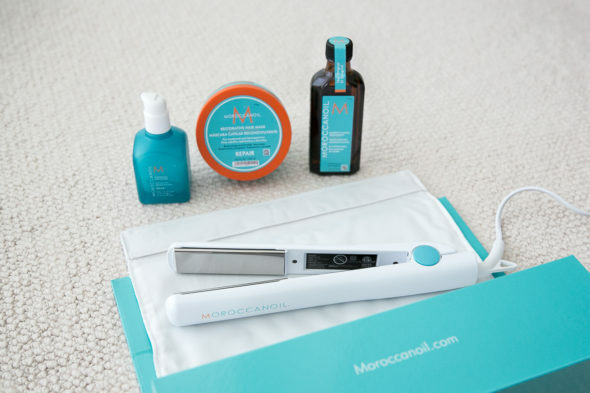 Moroccanoil products are infused with antioxidant rich Argan oil and they’re one of my favorite hair care products to use on my bleached hair. With its high content of antioxidants, essential fatty acids and Vitamin E, the benefits of Argan oil naturally increase hair’s elasticity and consistently restore shine to dull, lifeless hair. It is a powerful antioxidant, UV-protector and free-radical neutralizer. 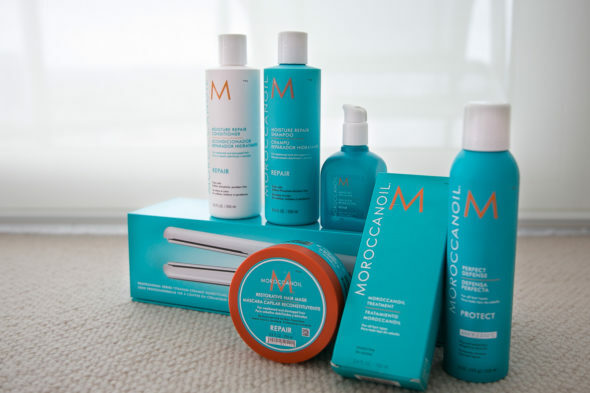 To restore damaged hair, I really love the Repair Collection from Moroccanoil. The Moisture Repair Shampoo and Moisture Repair Conditioner help repair damaged hair caused by color, chemical processing or heat styling. They mend broken strands and dead ends to restore elasticity, moisture and shine and I love the fact that they are color-safe, sulfate-free, phosphate-free, and paraben free as well. My all-time favorite product from their line is the Restorative Hair Mask. For instant repair, I leave this mask on for 5 minutes once a week and it helps infuse protein back into strands that have been damaged by chemical treatments or heat styling. I use this stuff religiously after I’ve dyed my hair since my hair is more damaged during that time and use it less frequently as my hair texture improves. After I’ve hopped out of the shower, I liked to apply 1 pump of the Moroccanoil Treatment to my towel-dried hair, focusing from the mid-length to ends. Typically, I let my hair air-dry naturally to prevent any further damage on my bleached hair and this treatment acts as a conditioning, styling, and finishing tool all-in-one. It helps detangle, speed up drying time and boosts shine- leaving me with nourished hair with each use. On days when I’m in a hurry and need to blow-dry my hair, I mist generously with Perfect Defense on damp hair to protect my hair against the damaging effects of heat styling. The Titanium Ceramic Hairstyling Iron can be used for a range of silky, frizz-free styles from sleek and shiny to wavy and curly. 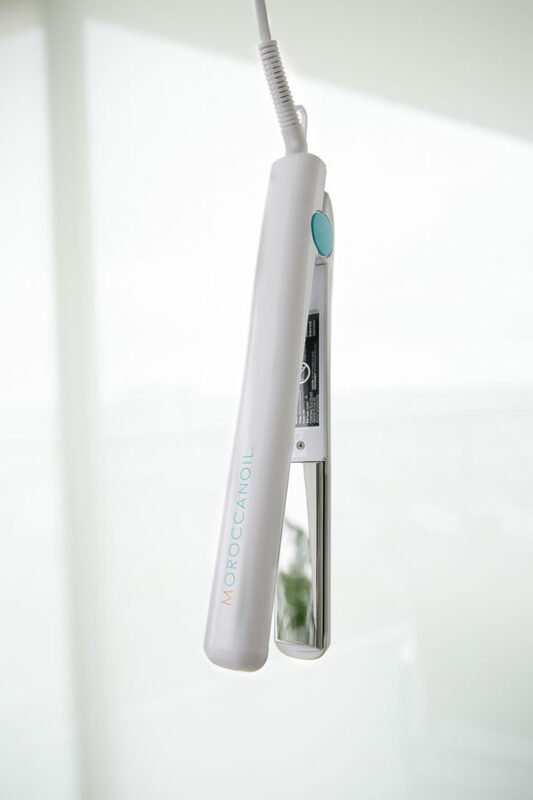 I like to go for that beachy effortless wavy look on a daily basis, which can easily be achieved with a hair tie and this hairstyling iron. After having tied my hair in a bun for a few hours, my hair becomes wavy when I let it down. To define some of the curls, I simply use this hairstyling iron with the strands at the top of my hair for that extra definition. Once I’ve completed styling my hair, I apply a dime-sized amount of Mending Infusion to the palms of my hand and work it through my dry hair, focusing on the ends. It reduces visible signs of damaged hair- such as frayed ends, dryness and color damage- while taming frizz and preventing further damage. 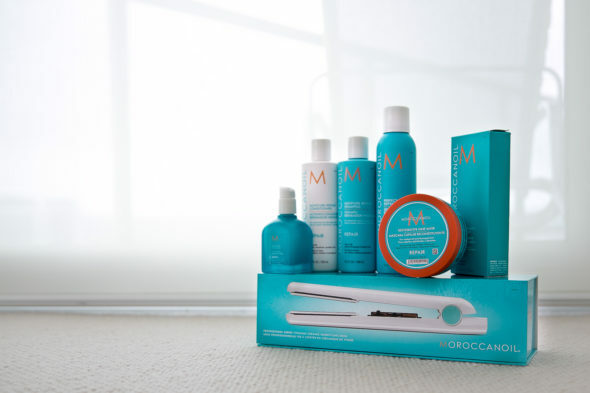 I’ve used the Hydrating Line from Moroccanoil in the past as seen here and really enjoyed each and every product from that line as well, but the Repair Collection is definitely even more suited for my hair type since I have damaged, bleached hair. I can definitely preach for all the products I tried from Moroccanoil and how it has helped me achieve silky, smooth hair. I’ve always loved this line of products! 🙂 So happy to find that they actually have a flat iron as well! <3 Can't wait to purchase one!